Yali Publishing LLC, 9781949528985, 38pp. 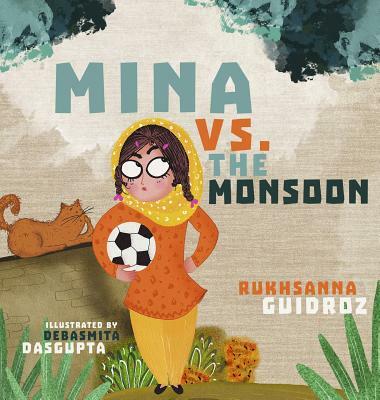 In a charming story that any kid who loves a sport will relate to, soccer-mad Mina tries just about any trick to stop the monsoon clouds from raining on her game. In doing so, she shows us glimpses of her life in a village in eastern India, highlighting the important role played by monsoon rains in this part of the world. The heart of the story, however, is the bond forged between a mother and her daughter on a gray, gloomy day.